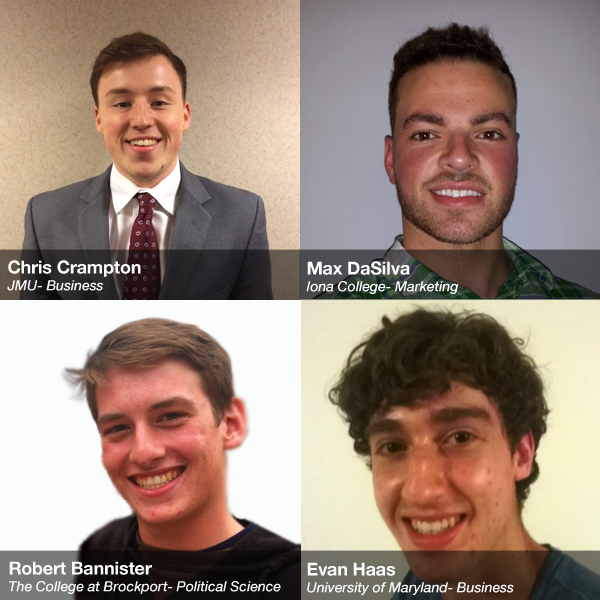 Our intern experience series concludes with a final reflection on what they learned and how their perception of the business changed. Also, in case you missed it, you can check out part one of the series. What was one thing you learned during your internship experience that you didn’t know before? CC: Throughout the entire process, I tried to be a sponge and learn as much as possible from as many people as possible. I got to learn more in depth about some familiar topics like digital marketing and sales, but I also loved having the opportunity to learn about some new concepts like media buying and production. MD: I learned to speak up. Don’t be afraid to spark conversations with every person you run into. Nine times out of 10 you will learn something valuable. Since I worked in the digital department, it was nice to get a feel for the mindsets of those that worked in other departments. They would give me advice to take back to my digital work. RB: Working here made me realize that there is so much more to marketing than commercials, I didn’t realize how much time and effort goes into targeting the right market. EH: The most important lesson that I learned from this internship is the work-week grind. I was not used to the long hours. So, figuring out how to adapt to this new schedule was challenging, but I am definitely more prepared for the working world because of it. How did working here change your perception of marketing (particularly automotive marketing)? EH: I really like the dynamic between the car world and the business world, because it is an amazing balancing act. On one hand, there is passion towards the cars themselves, with interest in new models and long-term industry trends like globalization and alternative fuels. On the other hand, there are sales to make, deadlines to meet (you especially experience this in production) and data to extract. Automotive marketing is a fanatical business. MD: I am now aware how important and valuable data is when it comes to marketing. Tier10 is data-driven for a good reason: data drives results. Every decision made in the digital department is based off of data in some form or another. I learned that automobile marketing is heavily based on price. By saying price, I am actually speaking of the perception of price. In marketing, perception is the reality. So, instead of car dealerships saying $239 per month for a new car, they will say $8 a day. This strategy is called “reduction to ridiculous” and its usage serves as an example of how the consumer’s mind works. What was your favorite part throughout the internship process and how did it affect you? EH: My favorite part throughout the internship was the feeling of mastering the process. It was challenging to continually learn the minor nuances of email deployment – where every order is just a little different. I’ll never know exactly what to do with every email ticket, data mishap or creative issue. But, by picking up small pieces of knowledge every day, my confidence in my work and in myself has gone up. Now that I am at the end of the internship, I am proud of what I have learned in my short time here. MD: I really enjoyed the working and learning processes … I loved going head-on into new platforms with several tasks to complete. The way I learn is by using the program, rather than just reading about it. So, my digital analyst team would all divvy up projects that they knew I would be able to get a handle on. I would be able to learn the programs by doing the tasks, all while I could ask for assistance at any given moment. I learned by completing the work, getting feedback, and then asking for more work. Nothing beats the feeling of learning digital marketing through hard work and great resources. Error - Error validating access token: Session has expired on Tuesday, 06-Feb-18 09:00:00 PST. The current time is Thursday, 25-Apr-19 13:18:20 PDT.